Replacement Windows, Lake Norman, NC | G&S Contracting, Inc. Replacement windows can add style and luxury to your Lake Norman, NC property while enhancing its value. Replacement Windows in Lake Norman – Knowing when it’s time to replace your windows and when you should keep your home’s current windows can be tough. This is because there are a number of factors to consider, including the age of your current windows, how well they function, and how efficient they are. At G&S Contracting, Inc., we would be happy to assess your home’s current windows and give you our recommendation regarding whether to get replacement windows or not. We have been serving the Lake Norman, North Carolina area for 39 years and have developed a reputation for providing quality service and workmanship. If you aren’t sure whether or not you should go with replacement windows or not, you should ask yourself a few key questions. First, ask yourself what type of windows you have. If they are wood and require scraping and painting every few years, you’re probably better off going with new windows. Second, do you have single-pane glass windows? If so, you could be missing out on significant energy savings. Dual-pane windows are not only energy efficient, but they also are designed to block noise from the outside. Although energy efficiency and maintenance requirements are both good reasons to go with replacement windows, there is nothing wrong with replacing your windows simply because you want to enhance the appearance of your home. Replacement windows can add style and luxury to your Lake Norman property while enhancing its value. If you would like a quote for replacement windows, or a consultation to learn more, give us a call. We are eager to exceed your expectations. 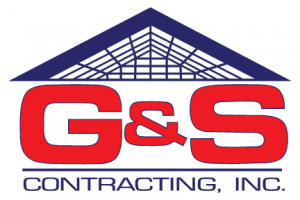 At G&S Contracting, Inc. we offer the highest quality Replacement Windows to our customers in North Carolina including: Lake Norman, Cornelius, Davidson, Huntersville, Charlotte, and Mooresville, North Carolina.